We also stock Bar, Hexagon, Square, Round products in various dimensions and grades. We stock Stainless Steel, carbon and alloy specialty steels supplied in the as rolled, annealed and normalized conditions. We offer cut to size and heat treatment through our service center. ASTM / ASME SA 479 TP 304 , 304L , 304H, 309S , 309H, 310S , 310H , 316 , 316H , 316L , 316 TI , 317 , 321 , 321H , 347 , 347 H , 410, 430 ,431 & 444. ASTM / ASME A 729 GR B 11 & B 22. Delivery Time: AS PER QTY. 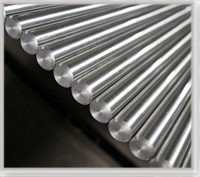 We offer high quality hastelloy rods in different forms and sizes. These rods feature close tolerance for ultimate strength. They provide excellent resistance to corrosion in most harsh environment. Our range of hastelloy rods comply with national as well as international standards. Inconel rods have an excellent mechanical properties and provide good resistance to oxidation. These pipes find extensive application in furnace muffles, electronic components, heat treating equipment, steam generator tubing, heat exchangers, etc. 12, 14, 16, 18, 20, 22, 25, 27, 28, 30, 32, 35, 36, 38, 40, 42, 45, 48, 50, 52, 55, 60, 65, 70, 75, 80, 85, 90, 95, 100, 110, 120, 130. We offer unique rage of Stainless Steel Bars that is manufactured using superior quality of aluminum as a raw material that is procured from our reliable & trusted vendors. These are specially designed as per the need of clients throughout the world. We offer this Stainless Steel Bars at competitive prices. · In infrastructure and industries. Beside Indian Railways, bus bodies, showrooms, building complexes, car exhaust systems, Auto gas cylinders, chemical plants, petrochemicals, refinery and dairy industries, kitchen equipments, etc. · Stainless steel cold rolled & hot rolled Sheets / coils /plates in alloy series 202, 301, 304h, 304l, 304, 304ln, 309, 309s, 310, 310s, 316, 316l, 316ln, 316ti, 317, 317l, 317ln, 321, 347, 409, 409rc, 409m, 410, 410s, 405, 430, 430ti, 436, 420. In various finishes like:hr black, cr, cr unpickled, 2d, 2b, bright annealed , 4-6 finish, 3a/3b/4 patterned finish. Invar 42® is a nickel iron alloy that is used for controlled expansion and magnetic applications. Invar 42® can be hot and cold formed, machined by processes similar to those used for austenitic stainless steels. The alloy is available in the following forms: Invar 36, Invar 42, Invar 48, Invar K, and Invar 77. UNS N08367 also commonly referred to as AL-6XN® alloy is a nickel-molybdenum alloy with excellent resistance to chloride pitting and crevice corrosion. AUNS N08367 retains high ductility and impact strength. UNS N08367 has been used for seawater heat exchangers, chemical process tanks and pipelines, offshore oil and gas production equipment, seawater heat exchangers.